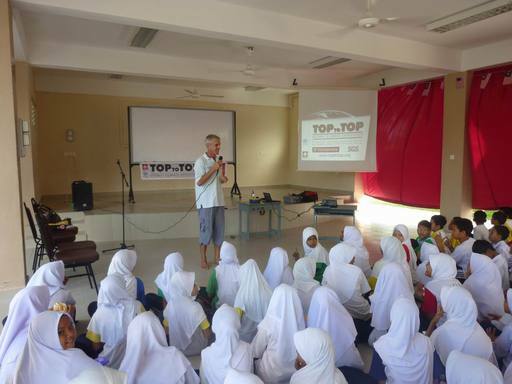 At the moment we are visiting schools in Langkawi Island in Malaysia. 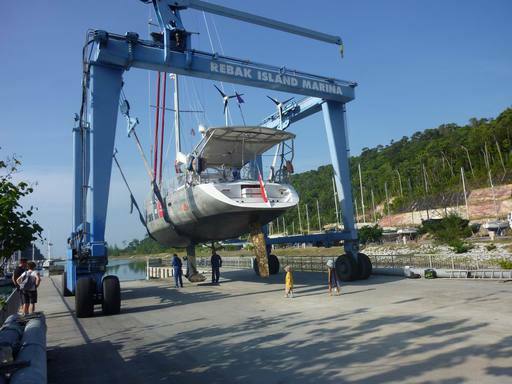 Thanks to the Langkawi Yacht Club we have a perfect base. 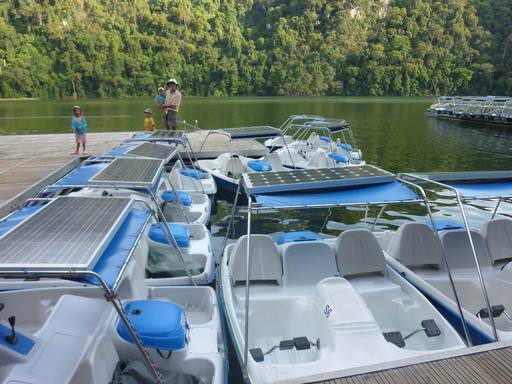 Like this, students are able to visit the expedition boat and study all the environmentally friendly technology. 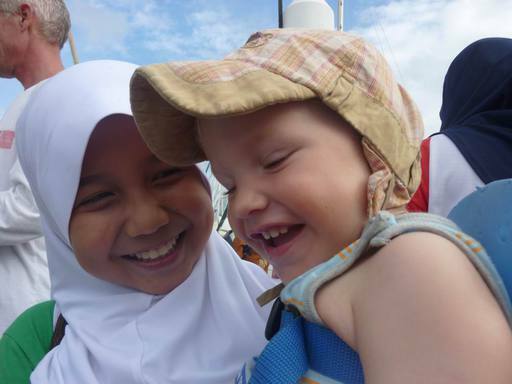 The students and all the people are very friendly and welcome and we feel very safe and accepted in this Moslem culture. 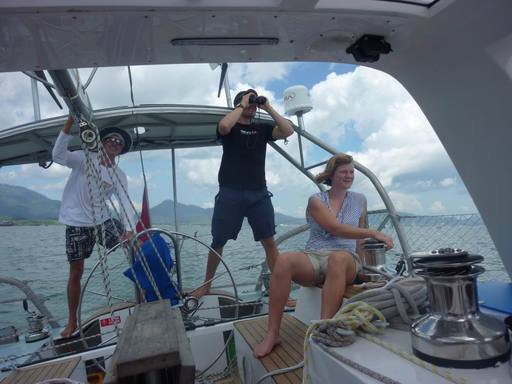 Before, – on the Royal Langkawi Regatta there was not much wind. 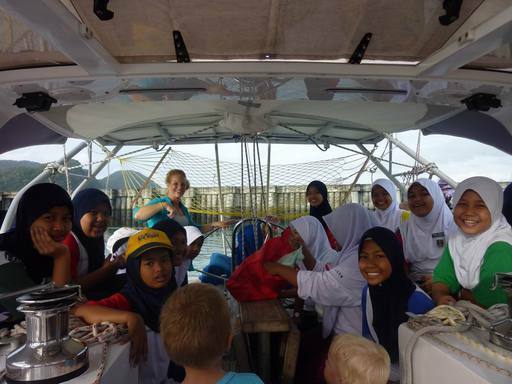 Our expedition boat needs wind because Pachamama is heavy with all the expedition material and was also in need of a renewed underwater. 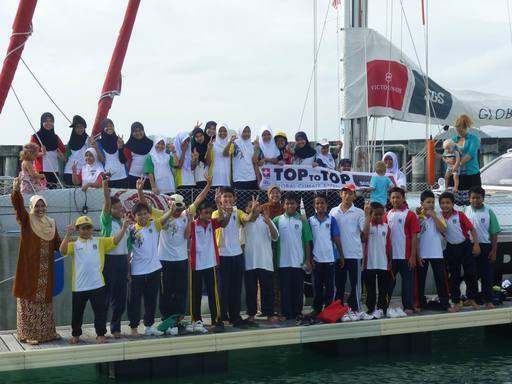 At the celebration of the regatta the kids were happy to get a price donated from a high performance racing boat. 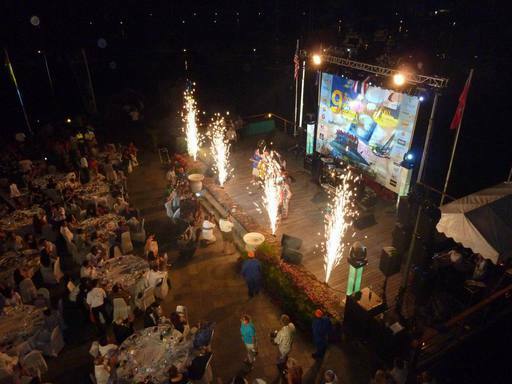 But the best for Salina and Andri was to meet the princess of Malaysia at the final party. They even got an invitation to her palace. The underwater we did finally in Rebak with the help of Johannes and Eliane. Salina was ill, but Andri was a great worker and became friend of the pilot of the travel lift. Living on board was different: We had a great view from so high up, but couldn’t use the toilets because of the painted underwater. Meanwhile Sabine went with Noé to do a heart ultra sound. The heart was o.k., but there is still a risk in the first months so that we decided not to do a long ocean passage yet. 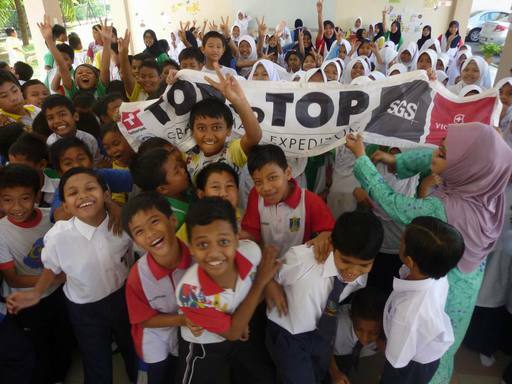 Means that we have now a lot of time to visit schools in Malaysia, Thailand and hopefully Myanmar. We plan to depart for South Africa after our 4th child is born. 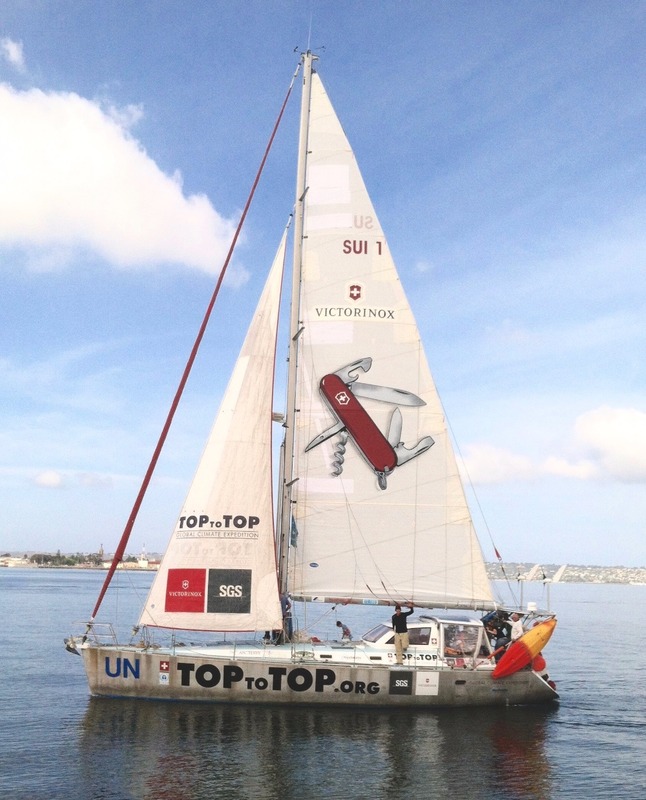 Thank you Eliane and Johannes participating on the expedition and sharing 238 nm!